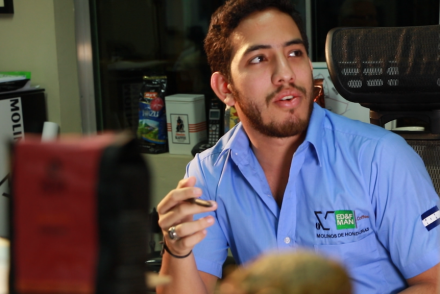 “Profitability is good to chase, but hard to achieve,” Elizabeth Mbau said back in May, on a call from Costa Rica. 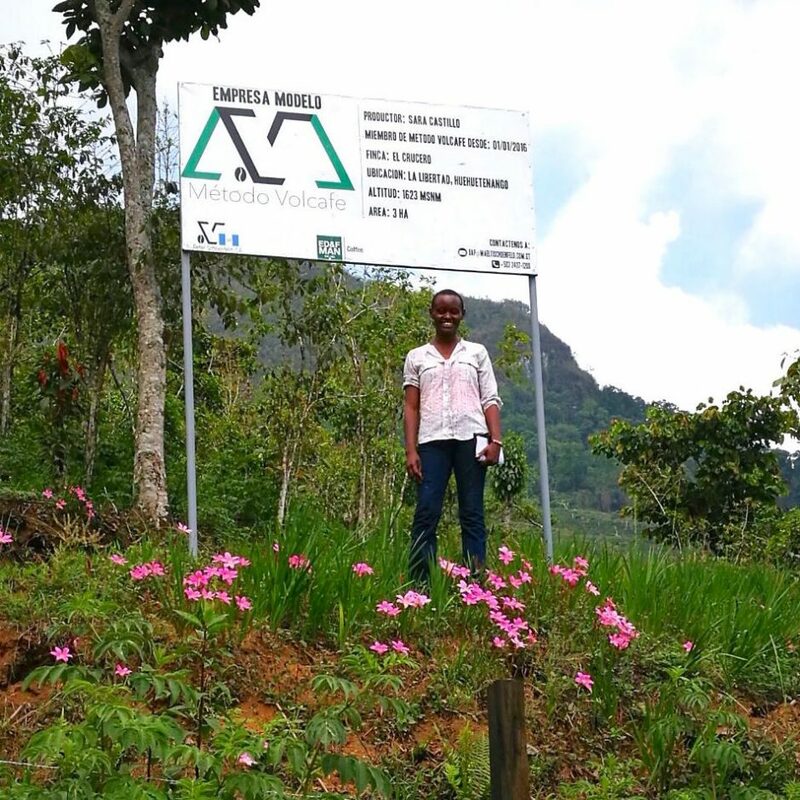 In April, Mbau joined our team as the Africa coordinator for Volcafe Way, bringing with her experience from Technoserve, where she monitored a coffee initiative in Kenya; the Rainforest Alliance, where she oversaw the impact of a certification program for coffee and tea farmers in East Africa; and from a consultancy in Central Kenya, where she managed a community project tied to climate change. 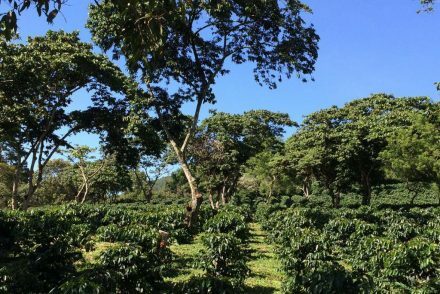 A first order of business was to see implementations of Volcafe Way in other coffee countries, and when we caught up with her, she’d just finished tours of Honduras, Guatemala and Costa Rica. 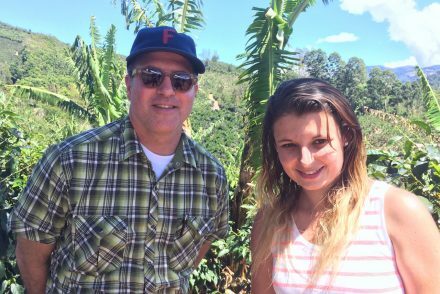 Elizabeth Mbau with Carlos Ortiz, Origin Coordinator for Volcafe Way, in Costa Rica. Her job will entail the full roll out of Volcafe Way in Tanzania, Uganda and Kenya — each of which has different social structures that will impact her work. When asked about cultural challenges, she pointed to a cultural trait likely to help her in her work. “From what I can see is, they are very competitive. Especially in Mbinga. When I was visiting, I was struggling to find a house that wasn’t a brick house. I asked this question to the technician and he told me, ‘When one person gets ahead, everyone tries to do it.’ I’m sure the first person who gets a satellite dish is going to spark something big!” she laughed. She’s also looking forward to opportunities in Uganda. Elizabeth Mbau tours a farm in Guatemala. Mbau is also keen to help producers in Uganda and Tanzania to set themselves apart. We hope you’ll taste the differences for yourself! Click to order free samples. Or: Shop Uganda. Shop Tanzania. Shop Kenya. Quantity Discounts — and Other Ways to Save!